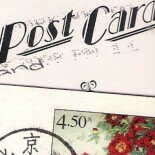 Do people still send postcards these days…? Gomel. Footbridge over the river Sokh.